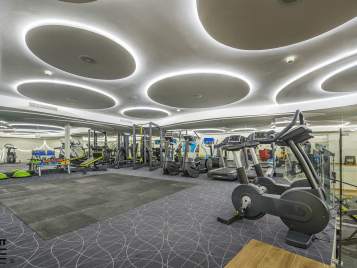 Sports drinks and splashes of sweat are part and parcel of daily life in a busy gym area, making ease of cleaning and maintenance a must to ensure your gym remains a welcoming place to work out. Slipping while doing and intensive sports need to be prevented, specialized flooring can help. Flotex Flotex Flocked Flooring is a completely unique textile flooring that combines the hard wearing and durable characteristics of a resilient floor with the quality, warmth and comfort of a carpet. Flotex is made up from a solid vinyl, reinforced base with a densely flocked surface of nylon 6.6. fibres, that are anchored firmly into the base layer. 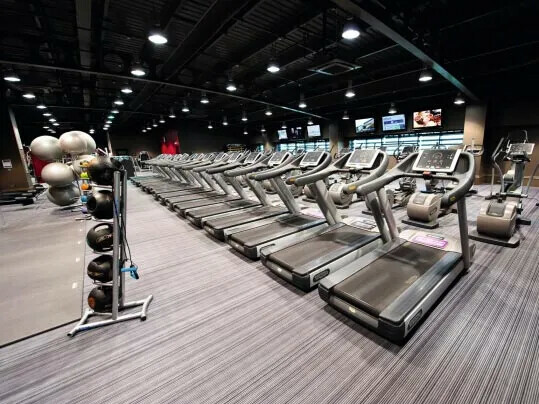 Flotex is extremely dimensionally stable and has the optics of a textile floor covering, whilst being 100% waterproof functional and durable as well as easy to clean as any resilient floorcovering. • R12 Slip rating even when wet! • Easily repair, just remove and drop!